Mantee (pronounced mahn-tee) are little dumplings of baked dough that are stuffed with seasoned ground beef. 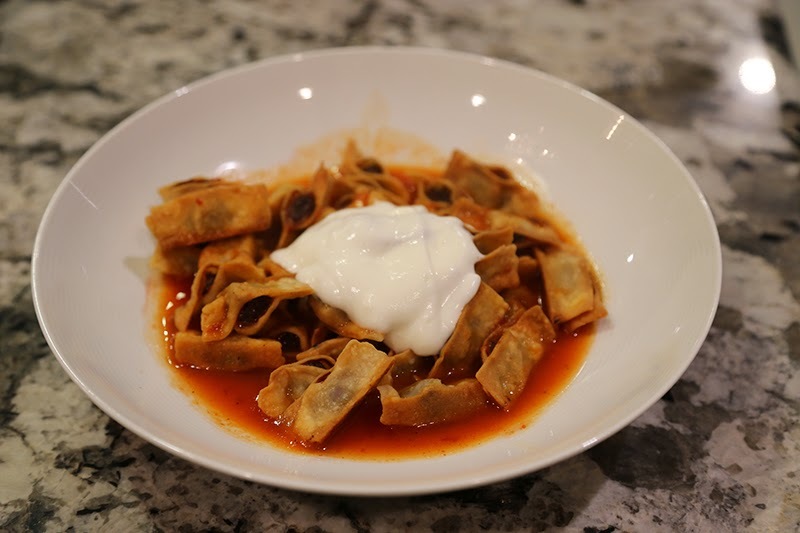 They are served with tomato broth and topped with a garlic yogurt sauce. 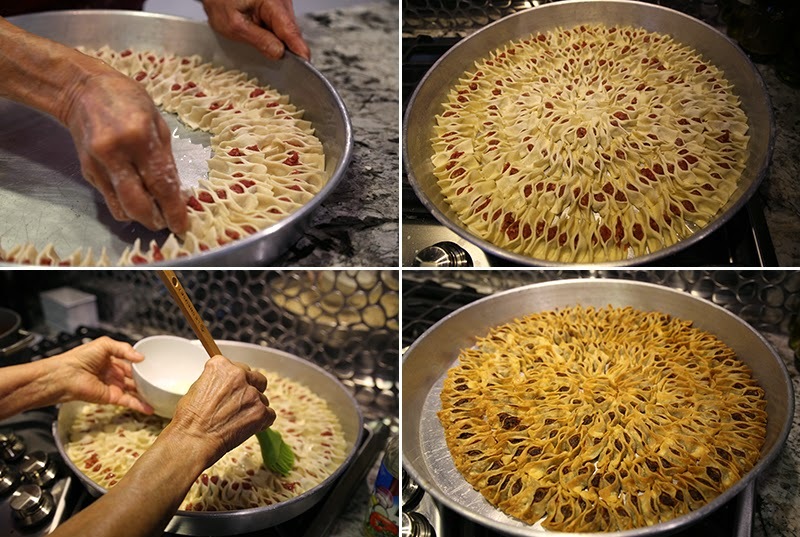 This has to be one of my favorite Armenian dishes that my grandmother makes. 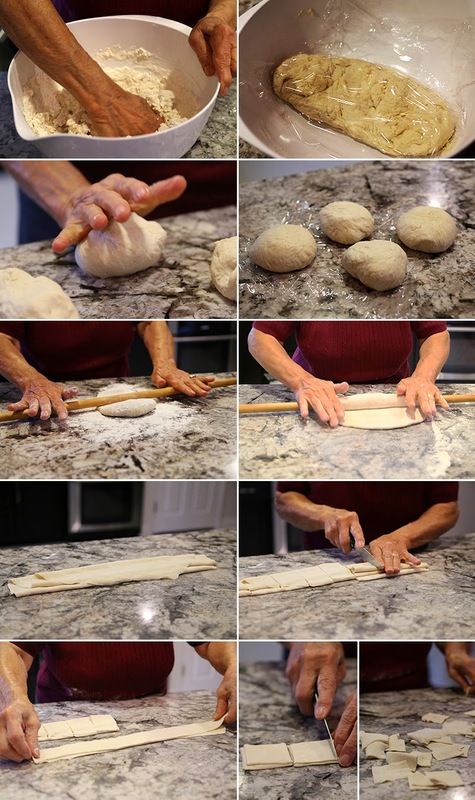 It's always a treat when she makes this for the family as it is quite a long process to roll out your own dough and assemble the Mantee one by one into the pan. There's a lot of love that goes into making this dish and you can taste it through the amazing flavors. 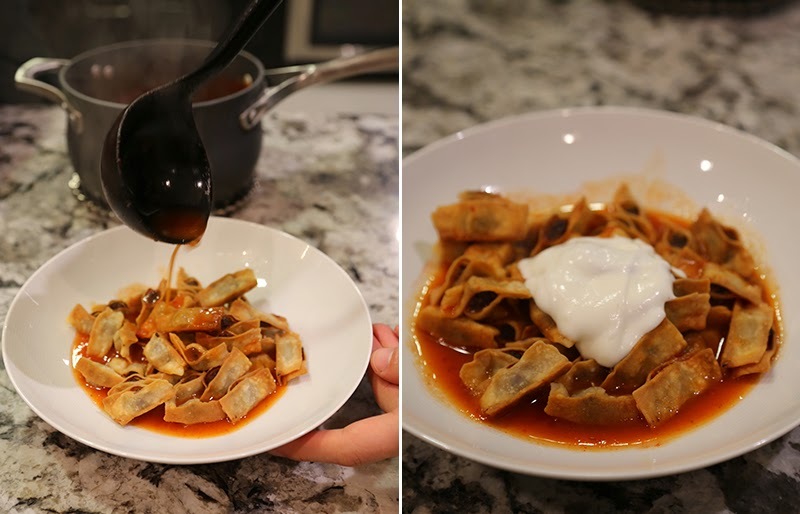 Add a spoon of the yogurt on top and voila!